What does it take to get published? How about a deranged TRS-80 Model I that has taken over a lunar colony? That did the trick for Hollie Satterfield in 1983, when 80 Micro magazine published his computer program “Attack of the TRS-80.” Afterward, he embarked on a career as a programmer analyst — and along the way, he created a popular BBS door game: Space Dynasty. 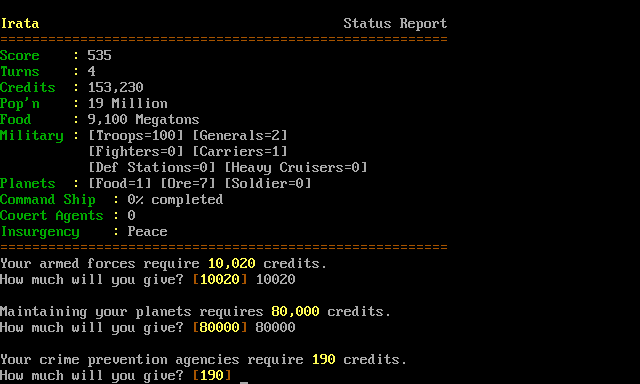 I shared some thoughts about Space Dynasty yesterday. This interview was conducted by email Feb. 16 through Oct. 18, 2013. This entry was posted in Door game creators and tagged bbs, door game creators, door games, hollie satterfield, space dynasty, turbo pascal, wwiv on Nov. 6, 2013 . They say first impressions are everything. 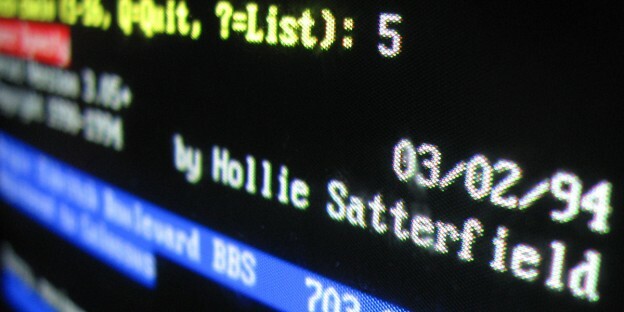 That seems to have been true for teenage me when I tried Hollie Satterfield’s BBS door game Space Dynasty — and wrote it off. But first impressions are often wrong. This entry was posted in Door game memories and tagged bbs, door games, hollie satterfield, solar realms elite, space dynasty, space empire elite on Nov. 5, 2013 .